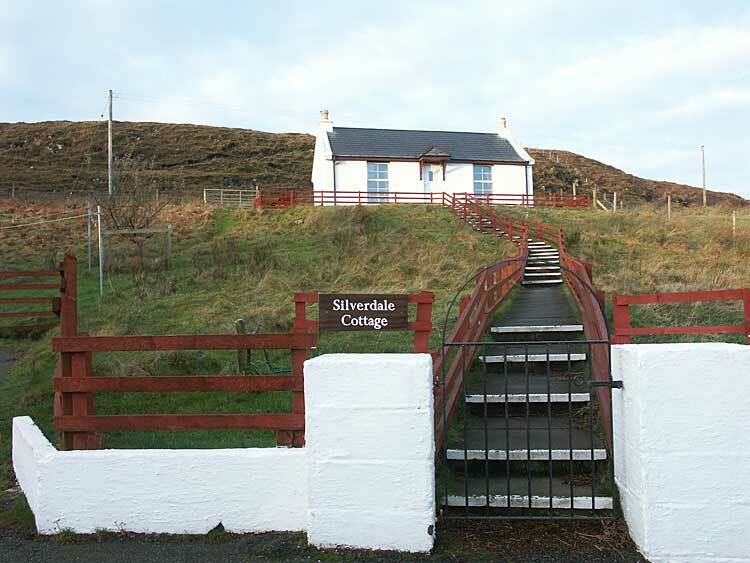 Silverdale offers wonderful self catering accommodation in Dunvegan near Colbost on the Isle of Skye. 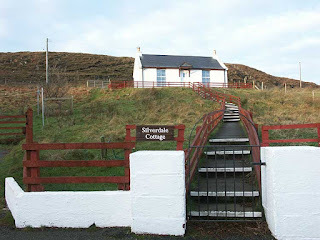 Nestled amongst stunning scenery on the Durinish Peninsula, they are just a wee bit up from the shores of Loch Dunvegan. With Macleod’s Tables to the rear, views of the Cuillin Mountains to the south and uninterrupted views northwards to the Outer Isles, this is a spectacular and peaceful spot. They lie 5 miles east of historic Dunvegan Castle, and just a few miles west of dramatic Neist Point, the most westerly point on the island with its vertical cliffs and walk to the lighthouse. The Three Chimneys Restaurant ranked amongst the world’s best, is a mere 8 minutes’ walk away. For the wildlife enthusiast, there are regular sightings of otters, and dolphins and whales may be seen off Neist point. Bird life is varied with eagles regularly recorded in the area. The small islands off Skinidin are home to a colony of seals which can often be seen from Silverdale House.